Used by club time trialists to National podium contenders, Olympic-distance “qualifiers” to Hawaii Ironman qalifiers. run through the Radlabor system is there a final adjustments process using the new set up whilst you ride on an Indoor Trainer. You get the perfect seat height, fore-and-aft, reach and handlebar height. Whether triathlete, time trials, sportive rider or road racer. Mountain bikers catered for too! 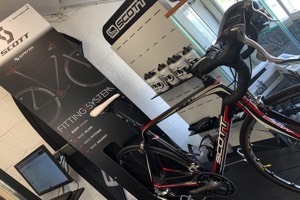 * Bike fitting sessions takes place at SouthFork (Braunton, North Devon) using two separate jigs. * You need to bring your bike, cycle clothing and any equipment options that may be assessed. 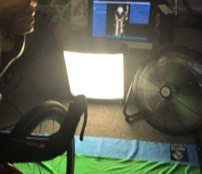 The session is carried out using the advanced Bioracer Aero Virtual Wind tunnel system: a green screen, video camera and state of the art software make this a time-efficient service that will improve your position and enhance aerodynamic efficiency. 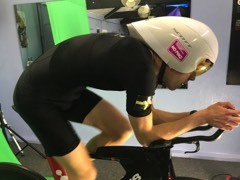 A series of improved positions, ideas on how best to ride in certain scenarios and a comprehensive report means you get to be super-aero at a fraction of the cost of a wind tunnel visit. The report includes (1) video analysis pictures, (2) wattage changes as a result of position/equipment modifications, (3) recommendations on equipment upgrades. These all help you make informed changes to you and your bike. Simply Brilliant. 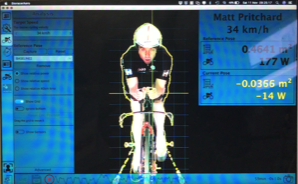 The real time data feedback is a great aspect of this system;unlike a conventional wind tunnel you can see how small variations in head and shoulder position may change your frontal area as soon as you make them.Personally I achieved a solid 35-40W improvement over my baseline. 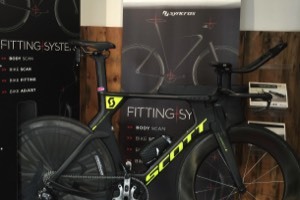 The watts per pound in this case is 3, a number that would beat any new frame or disc. Even better is that it’s applicable to every TT’r, triathlete and road racer out there. This is a no brainer for anyone looking to smash old PBs and set a new standard for their racing! Fee: £150 for 2 hours - £200 for 3 hours (payable in advance to secure session) Duration: 2 or 3 hours - this includes set up and breakdown time. * Sessions take place at Southfork Racing, Devon. You need to bring bike, race skinsuit, race shoes, helmet and any equipment options that may be assessed. From green screen, HD video camera and state of the art macOS software, Indoor trainer and MacBook Air. All the equipment comes to you to make this an ultra time-efficient service that will improve your position and enhance aerodynamic efficiency. A series of improved positions, ideas on how best to ride in certain scenarios and a comprehensive report means you get to be super-aero at a fraction of the cost of a wind tunnel visit. The report includes (a) video analysis pictures, (2) wattage changes as a result of position/equipment modifications, (3) separate page of recommendations on equipment upgrades. These all help you make informed changes to you and your bike. 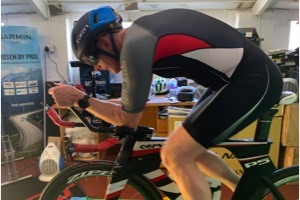 "I have to say I was hugely surprised and pleased with the level of detail that I experienced during the aero fit process with you Joe, the gains we managed to find on the day were massive considering the overall context and I cant wait to see what those wattage savings translate into during the coming Ironman season!! Thanks again and I advise anyone looking to get faster to get signed up and save those watts!!" 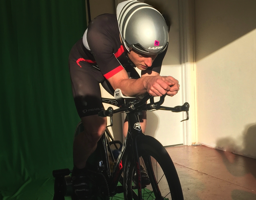 "Being a coach at a local turbo centre, it was too good an opportunity to turn down when Joe offered to take the Bioracer Aero Virtual Wind tunnel bike fit system on the road! I was one of four clients Joe analysed and fitted during the day. I was really impressed with how thorough he was and also with the accuracy of the system and software. Having had a good season by most standards, Welsh age group champ, Challenge World finals and a 70.3 PB, I was after extra gains because I just missed out on the 70.3 worlds by one place in one race and 44 seconds in another! Joe advised on equipment; covering tyres, tyre pressure as well as skins-suits and trip socks. The aerotunnel software picked the slightest of movements and showed the gains being made with each change of position. In summary the BioRacer system and Joe saved me over 8 seconds per mile! Gains I aim to put to good use in the 2018 season"
Fee: £200.00 (payable in advance, minimum 3 athletes to run session) Duration: 3 hours each - including set up and breakdown time. * Sessions take place at a prior arranged location. Athletes need to bring race bike, race skinsuit, race shoes, helmet and any equipment options that may be assessed. This physical test uses a research-proven protocol to find your maximum data and ascertain fitness, training zones and seasonal progression. If you do not have a power measuring system but want to get a test please say so when you book your session. The test starts at 100 watts and increases 20 watts/minute until maximum effort is achieved. Tests last 8-18 minutes. Your personalised heart rate and power SMART training zones are e-mailed to you, along with answers to any questions you have during the session. * Sessions take place at Southfork, Braunton, Devon. You need to bring your bike (with power meter installed), cycle clothing, Garmin or similar and contract. 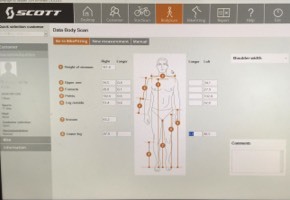 includes Precision Bike Fitting (2.5h), MAX test (0.5h) with Personalised Zones assessment (1h). This is a perfect "one-stop" visit, ideal for athletes travelling several hours and wanting a professional once over. 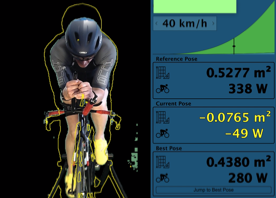 includes Precision Bike Fit (2.5h), MAX test (0.5h), Personalized Zones assessment (1h) and 1hr training consultation with food. This gives the athlete maximum bike speed, comfort and personal training knowledge. This is the ultimate athlete service for a complete coaching day. * Sessions take place at Southfork/Nopinz.com, Devon. You need to bring your bike, cycle clothing and any equipment options that may be assessed. This includes informal discussion to ascertain assessment of present training, discussion on nutrition and equipment being used and prescription of changes to action. This allows all your questions to be answered and a path to your goals planned. A questionnaire will be sent beforehand to ensure maximum use of time and to allow a better understanding of your situation and needs.